High Quality Content by WIKIPEDIA articles! Zimbabwean music includes folk and pop styles, much of it based on the well-known instrument the mbira which is also popular in many other African countries. An annual Zimbabwe Music Festival is held each year in the Pacific Northwest of the United States. People from all over the world attend this festival and share the experience of Zimbabwean music and culture. 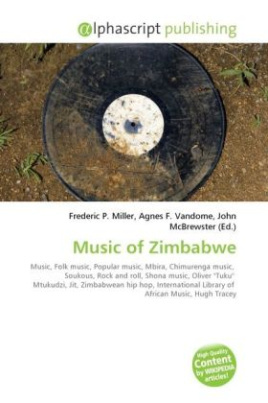 Popular genres in Zimbabwe include native Chimurenga and imported rumba, soukous and rock and roll. See also: Shona music. Some songs include "Freedom" a song that is very simple but effective, played on the mbira but can be played on the keyboard or base guitar.